Welcome to the 2018-18 Bellaire Belles! 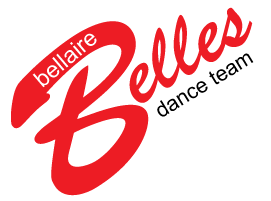 On behalf of the Bellaire Belles Booster Club (BBBC) welcome to the Bellaire Belles. I sincerely hope that your Belle will have the positive and rewarding experience that my daughter has been having for the past 3 years. As a Belle, your child will learn the value of dedication and hard work, learn the importance of working together, have fun and make lasting friendships. I know your Belle will truly enjoy the camaraderie that is unique to the Belles’ team. The Belles’ year will start in late July where Varsity will attend camp. The JV Belles will then have their camp in early August for a couple of weeks. This is the time where several dances are learned, but most importantly, the Belles begin to bond with one another. Also in August, there will an Open House where the parents will have the opportunity to meet other parents, sign up for various volunteer activities, buy football tickets to Cardinal football games, buy spirit wear, etc. The football season kicks off right after school begins where the Belles cheer on the Cardinals with pre-game and half-time performances, as well as “stand dances.” In the spring, the Belles participate in HISD and regional dance competitions. After competition season and all their hard work, they celebrate at Belle Ball: a formal evening of dinner, awards and dancing. The Belles’ year is wrapped up with their amazing Spring Show. The BBBC provides organizational and financial support for the team. In order to accomplish this, we need your volunteer support. There are several ways to volunteer. Each family is requested to help in at least one area per year. There is a financial commitment for each Belle; please help your Belle fulfill it (either directly or by encouraging participation in our fundraising activities). Lastly, I encourage you to get involved with the Booster Club and to support your Belle by attending football games, competitions and all the other activities that take place throughout the year. It’s so much fun to watch the Belles perform, get to know Belle parents and the Belles as well! We are excited and I look forward to meeting each of you and a fantastic year! Again, welcome to the Bellaire Belles! The Bellaire Belles Dance Team depends on many different levels of family involvement to ensure we remain a first class award-winning dance team. There are opportunities for everyone, no matter what your talents, interest or availability. Please look over the many volunteer opportunities and let us know areas you can help. Your involvement is vital to provide the many enriching opportunities available for the team therefore, each Belle family is required to volunteer in at least one area. Please click the button below to complete the Belles Parent Volunteer Form and return to the Belles office. Spirit Wear Sales – Volunteer to help sell spirit wear. The time commitment varies depending on when and where you are selling. Lunch sales are on Fridays from 11:15 am-12:30 pm. Sales also take place at parent open house, freshman registrations, cardinal camp, football games & other Bellaire sporting events.